There are many outdoor trainers on the market at the moment, many which consider themselves an ‘approach’ shoe. To climbers an approach shoe will get you to and from the crag, handle wet or rocky descents and tackle introductory rock routes. 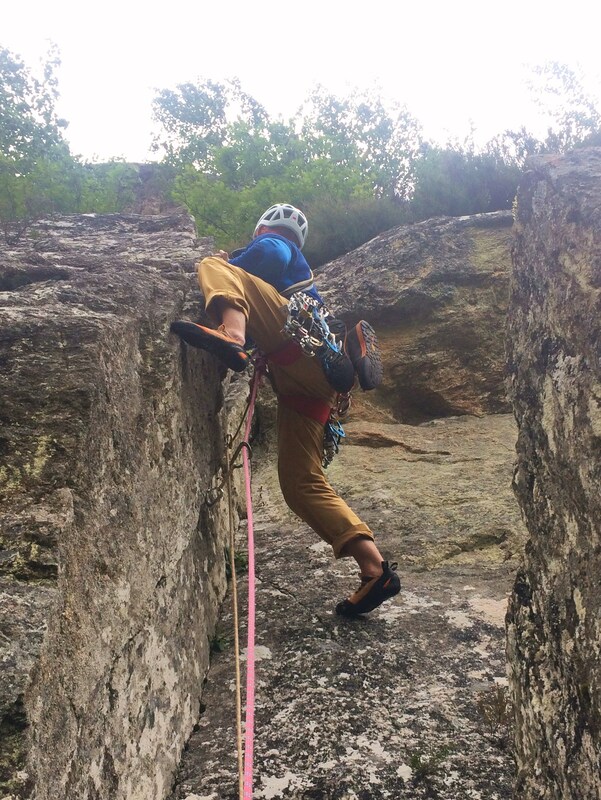 I have always found there to be some compromise between performance on rock or comfort/support for approaches. In my opinion the Scarpa Gecko have managed to close the gap and climb as well as they walk. Scarpa’s rock shoe designer was in charge of their creation which is really apparent when donning these shoes. They feature what Sacrpa call a ‘Heel Tension System’ which means, just like a rock shoe, they are snug and close fitting helping to create a stable platform for climbing. The heel doesn’t nip or feel too tight but feels very secure even when standing on small holds. The water resistant suede upper is soft and subtle just like a rock shoe and the toe box roomy enough for a heavily laden approach but also asymmetric so that it climbs with accuracy. The compromise with the subtle suede is that I have to crank the laces down before stepping onto rock climbs to stop my foot rolling, I do however, have very narrow feet. 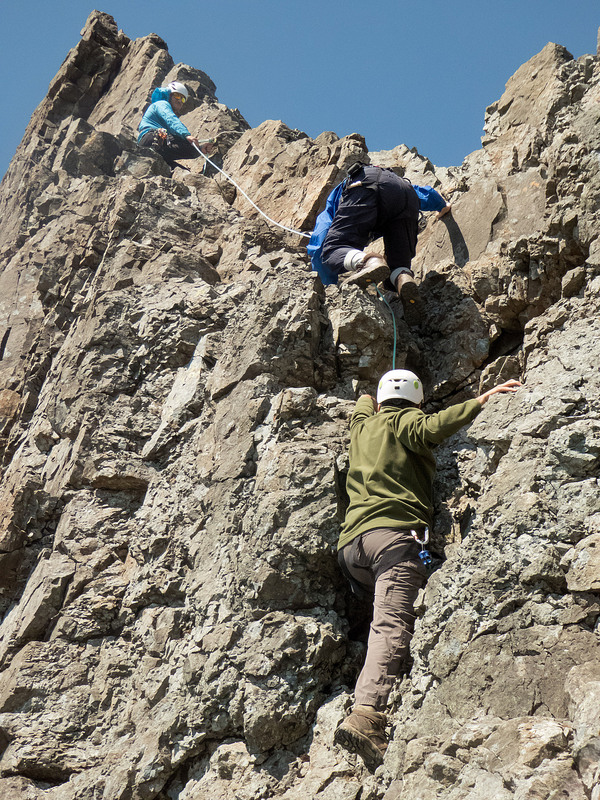 I have worn my Gecko’s on routes upto VS (5.7) and used them for guiding on the Skye’s Cuillin Ridge where there is very rough rock and lots of technical ground. The combination of technical materials and thought out production of the sole unit means they absorb plenty of impact but also cope with various types of terrain. Scarpa call this Active Impact Technology and use the Vibram Reptilia HG. They are yet to show any signs of wear even though I have literally worn them every day for a month. 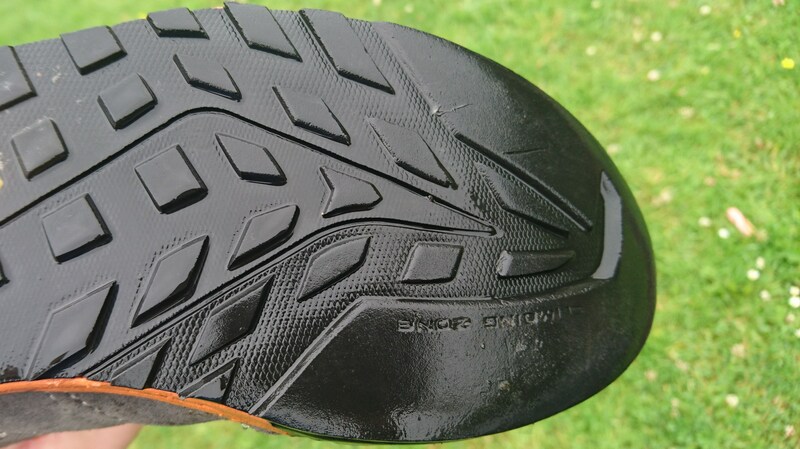 Being very low profile I expect the Vibram sole will wear out before the uppers give in but this is the price to pay for a relatively light technical shoe. Scrapa have a range of footwear that fall under the approach shoe category so where does the new Gecko fit in? 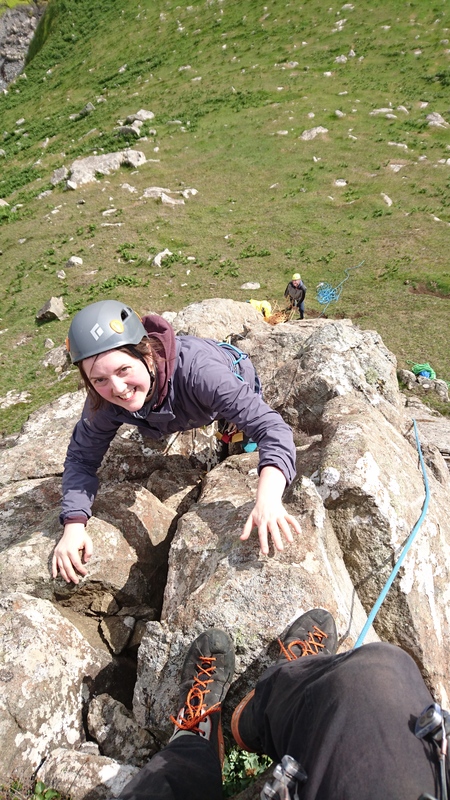 Well they are primarily aimed towards climbers who want to climb with confidence and have enough support and stability to walk distances and ascend and descend a wide variety of terrain. 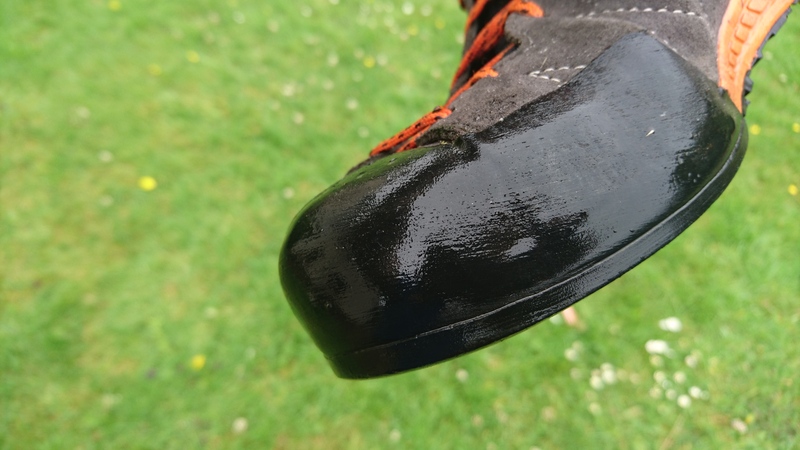 The price tag of £135 is at the upper end of the market, especially as this shoe is water resistant not proofed. The Gecko is lighter than the Zen, Oxygen & Crux approach shoes, again making the Gecko appeal to weight conscience climbers looking for a very comfortable ‘do anything’ piece of footwear. 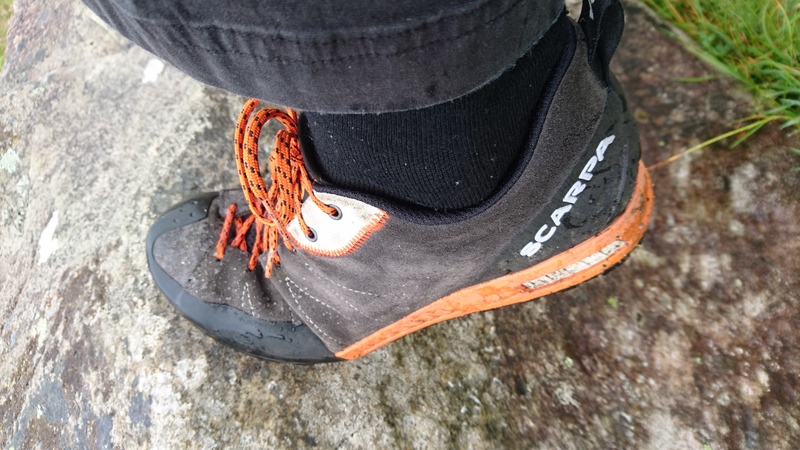 If anyone loved the much sought after Scarpa Quest and the discontinued La Sportiva Rock Jock as much as I did, then look no further than the Scarpa Gecko.